Ruxandra began studying music at the age of 6. At the age of 17 she began take vocal lessons and lessons of painting. She graduated from the Fine Arts school. Now she is a second year student at the Academy of Music, Theatre and Fine Arts in Chisinau, the faculty of jazz, at the speciality of vocal. She is singing, playing the piano, dancing, composing music and lyrics and d oing a professional make-up. Ruxanda is keen on foreign languages – she speeks English, Russian and Italian. She likes to dance, to paint and to read esoteric philosophy. The Festival of youth – Costinesti, Romania (third prize). Agnieszka started singing when she was 5 years old. For many years singing was her hobby. She hopes that it will accompany her all life. Agnieszka received her first music award when she was 6 years old. Erik (Erik Karapetyan) was born in 1988 in Tbilisi, Georgia. He studied violin in a school of music which he finished in 2002. 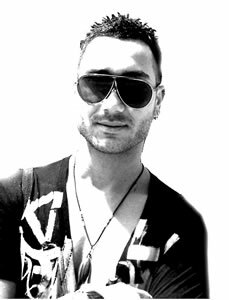 Since he was seven years old, he has been a soloist of the Armenian group Hayk . He toured with this group in Russia, France and Germany. In 2001 he was invited to Yerevan to participate in the Krunk TV competition and he won the prize The best young foreign singer . In 2005 Erik finished the secondary school in Tbilisi and moved to Yerevan, where he began to study at the producing centre Cantus under Zara Petrosyan's supervision. At the moment he studies in the jazz-vocal department at the Yerevan State Conservatory. Gold lyre'06 Contest of the Armenian Radio Van (The Discovery of the year prize). Mikheil was born in Tbilisi in 1986. He has been studying music since the age of six. He studied piano in the Tbilisi 28-th Music School and in the Z. Anjaparidze Music College. He studied also in the vocal faculty of the Experimental Music School at the Tbilisi State Conservatoire. Now Mikheil is studying piano in the Tbilisi State Conservatoire. He has performed at various concert halls worldwide. He is the laureate of several piano contests, such as the Pinault Music Society International Piano Competiton in New York, USA. Mikheil started writing songs six years ago. He has his own home studio. Seven of his music videos have being broadcasted by the local TV Maestro He performs live in clubs and concert halls. Her song Passion won the Honorable Prize on the Song of The Year Competition in the USA. Now Mikheil is working on his second album. 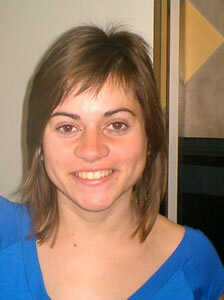 Michaela Cortinovis was born in Lovere in 1986. She studied at the Royal Academy of Dancing of London. She also studied music, piano, theory and singing. Actually she is working on his first album. Debut'07 International Art Festival – Riga, Latvia (First prize in the Dance song contest and third place in the Dance contest). Aniello Palladino (Nelio) was born in 1978. He started his professional career as a singer in 1997, when he partecipated to the final selections of the Accademia della Canzone di Sanremo. In the same year he met Luca Sepe, a singer actually considered as one of the most beautiful and powerful voices in Italy. Nelio and Luca worked toghether throught all this years and wrote a lot of songs for themselves and for many others italian singers. In 2001 Nelio made his first international tour in several states of the USA. He has been there again in 2002, 2003 and 2004. Actually Nelio is composing the songs for his first solo album that will be helded out in October. Universong '06 International Festival – Tenerife, Spain (first prize for the best singer). Lucia is one of the youngest pop singers in Slovakia. She started singing as a child and very soon she had her first success in regional and national children contests. One of Lucia's latest accomplishments was the performance of the song Long Time Ago in the contest of the Slovak National Radio for young talents. Actually Lucia takes part in many of the important social events, she sings accompanied by a dance group called Modance , which has been a national champion in modern choreography for seven years. Lucia Novakova is looking forward to meeting the Bulgarian audience, because she likes the temperament, hospitality and cheerful mentality of the Bulgarian people , who she has had the chance to meet during the holidays in Bulgaria. Love Is A Dream (a CD with 12 original songs), originally sung in a duet with Peter Fiala, a young singer, who had tragically died at the age of 27. Leni was born in Skopje in 1982. She has a musical education acquired in the primary school for musicians and in the secondary musical school where she trained as a solo singer. In 2005 she graduated from the Music Academy in Skopje with a degree in musical theory and pedagogy. Now she is working as a solo singer in the Macedonian Opera. Euro Pop '06 International Festival – Bosnia and Herzegovina (third prize). Cliff & Annabelle have been singing together for the past 3 years. They regularly take part in shows and concerts held in Malta. Cliff started singing at the age of 12. He takes part in several musicals and concerts in Malta. Last year he place third at the Malta Song for Europe Contest and participated in the prestigious festival Slavianski Bazaar in Belarus. Annabelle started singing at a very young age. At the age of 11 she was already very well known in Malta, taking part in several musicals. She took part in a number of local Maltese festivals. In 2004 Annabelle placed second at the Roza Petrof Festival in Moscow. 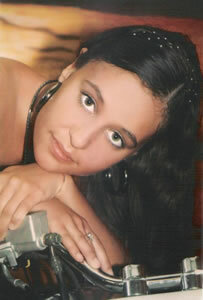 She participated twice in the Malta Song for Europe Contest. The Discovery International Pop Music Festival is Cliff and Annabelle's first international festival as a singing duo. Malta International TV Song Festival '06 (second prize). Imantas is 19 years old. He started singing at the age of 7 in the Lithuanian Radio and TV choir. When he was 12 years old, he started studying music with the vocal teacher Nijole Maceikaite. Imantas plays the piano and sings jazz, soul and blues songs. He took the first-place award at festivals in Germany and Russia, he won the Grand Prix of the Chei-Che's contest in China. Viktoria started singing at the age of 5. She sang in a music school and in a choir . The classical music was her first love and she wanted to be a pianist . The jazz and the contemporary music were her second love. In 1998 Viktoria finished the Music School Balakirev (vocalist of jazz and pop orchestra). She started singing in restaurants, night clubs and on open air stages in Novgorod. From 1996 to 1998 г. she collaborated with then producing centre Kamey Music , where she recorded her first cover versions. In 2000 Viktoria started singing in the music trio La Rosa De Los Vientos , popular in the clubs in Novgorod. In 2003 Viktoria moved to Moscow . She is still a student in the Jazz department of the Maymonid Moscow State Classics Academy. One of her teachers is Oleg Sleptsov, the soloist of the famous Soviet group Samotsveti . She has sung in his show as well as with the popular Russian pop singers Luba Uspenskaya , Masha Rasputina and Layma Vaykule. For the past 2 years Viktoria has been collaborating with the talented composer and text writer Andrey Kontsur. Actually she is still working with Layma Vaykule and she has her own solo projects . Angelika was born in 1986. She graduated from the High School of Music Dinu Lipatti in Bucharest , the piano class . Now she is studying piano at the National Music University in Bucharest. From 2003 to 2006 Angelica worked in a studio as composer for many known bands and singers - Anna Lesko , BE3, Gia, Andreea Antonescu, Marina, Jamaica, Akcent & Anda Adam . She was a backing vocal of the band Directia 5. She likes to travel. Jasmine was born in 1985 in Petrosani. At the moment she is a first year student at the Dimitrie Cantemir Christian University in Bucharest where she is studying English and Spanish. She is keen on dancing and learning foreign languages. One of her hobbies is the fitness. She loves music. Jasmine started singing when she was 13 years old. She is a member of a popular 5 girl's Romanian band called OOOPS , who is preparing the first album. Jasmine wants also to make a career as a solo artist. In 2006 and 2007 she participated in the National Selection of the Eurovision Song Contest - Romania. The singer from the Isle of La Palma (one of the Seven Canary Islands) was born in 1984. She has been performing in several concerts around the islands. She has been participated in several TV and Radio programs in Spain. Now she is recording her first album with a video clip. Canzoni dal Mondo '06 Festival - Italy (the special prize for the Interpretation). 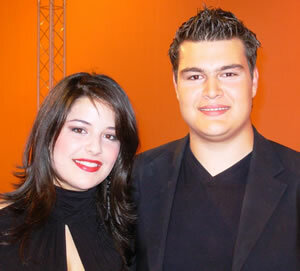 Vladimir and Darina started singing together as a duo a year ago. They both sings in the popular M usic S chool Studio Yes , based in Varna, Bulgaria – Vladimir from three years and Darina from a year. 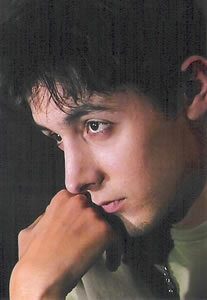 Vladimir was born in 1989 in Varna, Bulgaria. 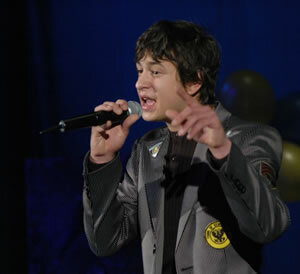 He studies in the Constantine Preslavski National Humanitarian High School. Last year Vladimir won the Special Award of the Srebarna Yantra Music Festival held in Veliko Tarnovo, Bulgaria and the Special Award Alexander Makedonski of the Eurofest held in Skopje, Macedonia. Vladimir's favorite music styles are pop and rock. He likes the songs of Bon Jovi. Darina was born in 1988 in Sofia, Bulgaria. She is a student in the Frederic Joliot-Curie French Language High School. She likes Christina Aguilerra's songs. Vladimir and Darina have participated in many concerts in Bulgaria.